When you shop small your money goes back into your community. Edit - 7-24-16 - Since this article was written, some of the people mentioned here have moved on to other projects. There is variations of this sign that makes its rounds on Facebook and other social media platforms on a regular basis. 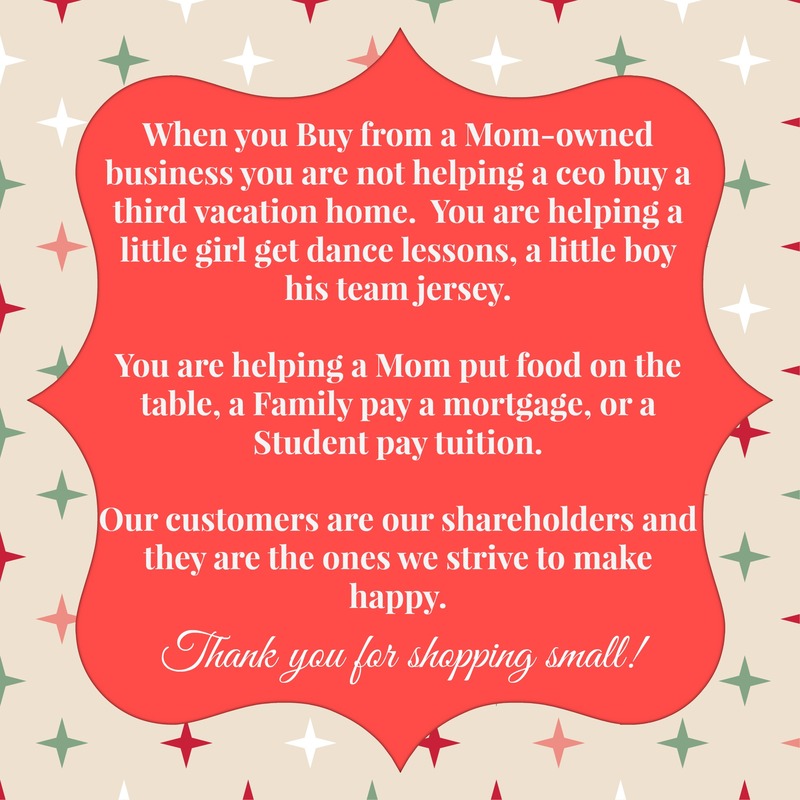 It says, when you shop small, you are not helping a CEO buy their 2nd home etc, but your money is going back into the community, helping a little girl get ballet lessons etc. We here at Nappy Shoppe, will tell you that is all too true. Let me tell you a little about each of us, and how when you shop from us it affects us directly. Sharni – I am the one writing this post, and I started Nappy Shoppe in 2008 out of my home. Back then I never thought that 7 odd years later, I would have 14 of us working this business in a 4800 sq ft store front, working 6 days a week. It took several years before I was actually able to take a pay check. Until July this year, I worked for my daily coffee fix. Now I get a pay check which my current goal is to save to replace our falling apart 14 year old mini van. Cheyenne – My right hand. She owns a small part of the store with me, and helps me manage it. She helps keep me sane, when the stresses of running a small business can be overwhelming. She is a true friend as well. She is full time with me, and I know her pay check helps pay for Piano lessons, Ballet Lesson & gymnastic classes for her three little girls. The nature of this job, allows her to home school her daughters while she works full time. Lydia – She has been with me since we used to be in a warehouse. She came onto the team because she had a heart for breastfeeding, and other women succeeding at it. She along with Cheyenne have helped many women in our community succeed at breastfeeding through our free support groups. She home schools are two children as well, and I know the income from the shoppe helps pay for extras in her household. Angela – Again, with me since the warehouse days. She used to sew for me, but is now the one who keeps Cheyenne and I organized in the office while helping out on the sales floor. She works three days a week at the shoppe, while homeschooling her three teenage girls. Lauren – Well I have known her the longest. Since before she was born. She is my daughter, and when you shop the website you help her keep her job. She does the website and a lot of the signage and print media for the shoppe. I guess having her work at the store really truly makes it a family business. Samantha – Many of you will have had Samantha teach you one of our many classes. From cloth 101 to car seats 101. She is a natural born teacher, with two little boys. She along with Angela makes the trek from Sherman to Plano to get to work! Kendra – She is the mother of two little girls, one of whom she homeschools. Her youngest was born on my birthday last year :) Her pay check helps with the grocery bill. Sarah – Again a mother of two little girls. She one day hopes to be a lawyer. And not the big corporate kind. Her heart is such, shes going to be the kind that never makes big money because she will be helping those who really need a lawyer and cannot afford one. Amanda – She used to be a flight attendant, but now enjoys her part time job with us because it allows her to be on the ground with her young son. She along with Sarah, Samantha and I, became certified lactation counselors in June, so that we could help Cheyenne and Lydia support our breastfeeding community. 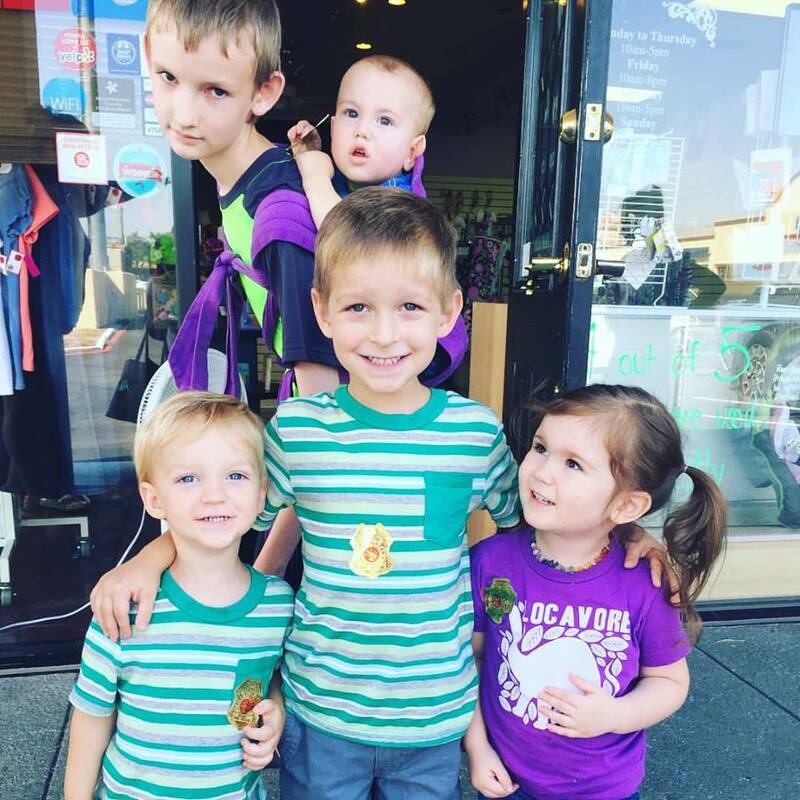 Meaghan – Mother of two, has a second job as a nanny with one of our local couples. For her the paycheck was really important as she was the sole provider for her and her little ones for a while. Mat & Jordan – Our married couple. Jordan has been with us longer than Mat. They have two little ones. Mat helps us with our Dads group. Mat along with Samantha, Cheyenne and I is a car seat technician. So when you buy a seat from us, you can get it professionally checked. And then there are the newer members of our team, that have been with us just a month or two, but are firmly becoming a part of the family of employees at the shoppe. April, Kristen, Chelsea and Melanie. For them, their paychecks help buy the extras for their little ones. So please, when you can, shop small and local. The money you spend at these stores keep your friends employed, and more of the money goes back into your community.